When looking for a new set of irons, the choices can be overwhelming. We lessened the burden for you by creating a comparison chart. 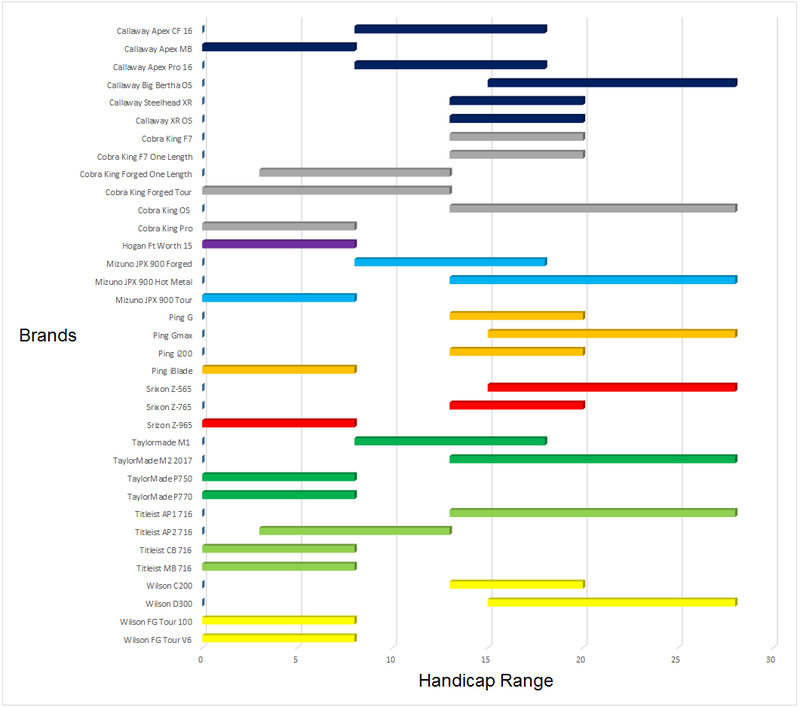 Our chart shows recent models from all major manufacturers paired with the handicap range that each iron set falls into. Take a look and reference our chart when making your decision. If you have questions, reach out to our PGA Professionals. They’ll answer any questions you may have.